Spring is here and who isn’t ready to escape all of the winter weather! We are so excited that Spring has arrived. The cherry blossoms are blooming, the garden is coming alive and we can’t wait to start planting lots of new flowers and veggies. It is also the time of year when we all must to find a new balance between our life outside and our life inside. After all, we can’t just abandon our sewing machines, they might rebel! A few of the prints in our new “Summer Fun” collection. What better way to get in the “Spring Sewing” mood than with a new project and a new fabric collection. We are so happy to announce that our new fabric collection, Let’s Play Dolls: Summer Fun is now available. It is the perfect fabric group to celebrate Spring and everything it has to offer. Full of fun florals and butterflies in bright, cheery colors it is a great way to freshen up your home and your sewing. 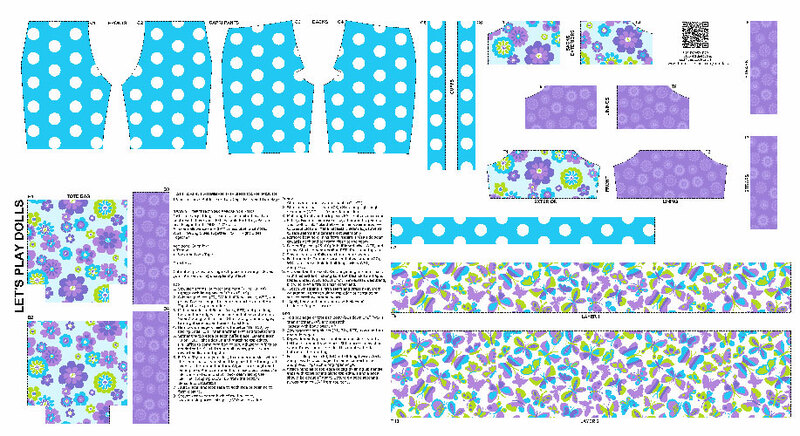 The line also includes two new adorable outfits for 18″ dolls on pre-printed panels. 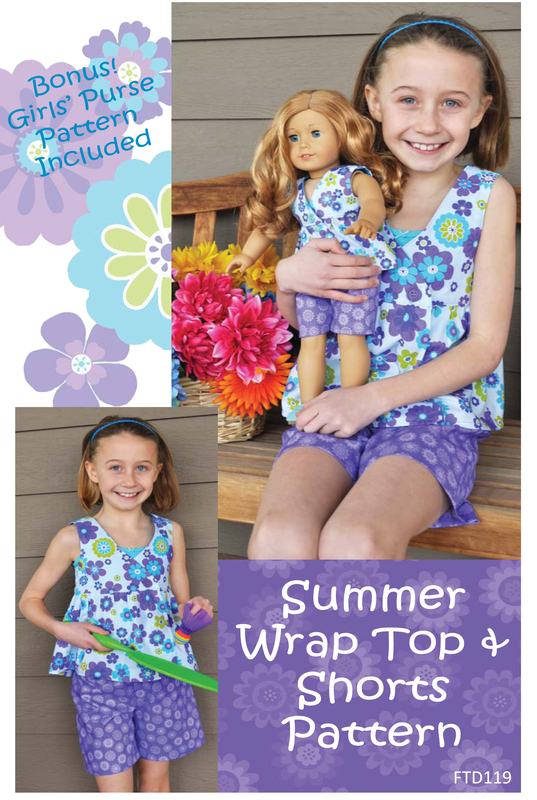 Each panel comes complete with one 18″ doll outfit, matching doll accessory and complete sewing instructions. There are also step-by-step illustrated tutorials for each panel on our website if you should get stuck. 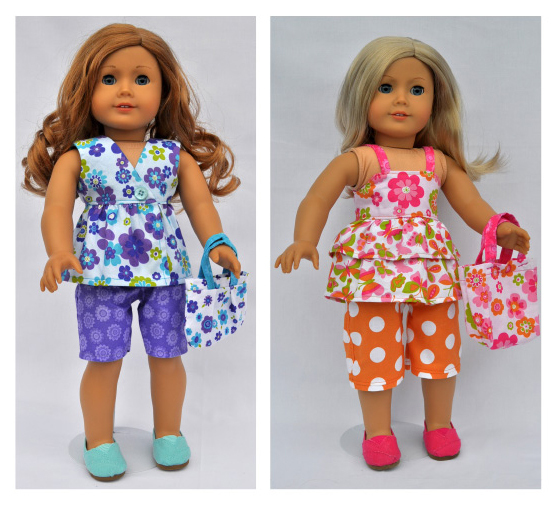 For all of those little girls that love to dress just like their doll, the matching outfit patterns are also now available and include sizes 7 to 14. Each patterns comes with a bonus accessory pattern to compete the look! Be sure to watch for new ideas and tutorials coming soon in the next couple of weeks. Maybe even a Giveaway or two… We also have lots of projects that we hope to have done before Quilt Market in May- both personally and professionally. We can’t wait to share!